More than half of prisoners freed after serving controversial indeterminate sentences for public protection are being sent back to jail for breaching licence conditions, MPs have been told. Giving the figures in Parliament, Nick Hardwick, chairman of the Parole Board for England and Wales, said the matter had now become a "critical" issue. In the last year, 760 IPP inmates were recalled - up 22% from the year before. Monitoring of those released had been "lacking", the prisons minister said. Introduced by Labour in 2005, they were designed to ensure that dangerous offenders remained locked up until it was safe for them to be let out. Under the system, prisoners were given a minimum term - or tariff - which they would have to serve before the Parole Board then decided whether to free them on licence. However, hundreds of inmates found themselves locked up for years beyond the end of their tariff after finding it hard to access rehabilitation courses in custody in order to demonstrate they no longer posed a risk. Courts were banned from imposing IPPs in 2012. However, 3,300 IPP prisoners remain in custody, 51% of whom are more than five years over the end of their tariff. The Parole Board and the Ministry of Justice have taken measures to ensure IPP offenders can access courses more easily and are better prepared for their parole hearings. Currently, 75% of those whose cases are heard are let out or transferred to an "open" prison - which is usually a step to the road to release. But speaking at the House of Commons Justice Committee, Mr Hardwick said: "The most significant issue with the IPP problem now is that more than 50% are being recalled, not necessarily because they've committed another offence, but because they've broken their licence conditions - and that's a real problem. "So, we're letting them out, but they're getting recalled often for relatively minor breaches of licence," he said. Mr Hardwick said IPP offenders were being sent back to prison for turning up drunk at their bail hostel - even though that presented no risk to anyone. 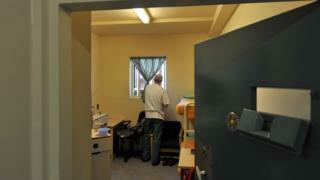 When they return to prison, the Parole Board has to again assess each case to decide if they are safe to be freed. Mr Hardwick said 60% of recalled offenders were let out for a second time. However, he warned that by 2020 the number of IPP prisoners sent back to jail was likely to be more than the 1,500 still waiting to be released for the first time. Dealing with the problem was out of the Parole Board's hands, he argued. "The Parole Board can do its part of the job... but that depends on there being the facilities in the community to manage them properly when they're out there and it depends on probation having a consistent view of risk with us - and there's a mismatch out there." Sam Gyimah, the prisons and probation minister, defended the recall system, saying it struck the "right balance" and prisoners would be sent back if the nature of the licence breach directly related to the risk they posed and their original offending. "These people are incredibly risky," he said. The minister said in future more IPP prisoners would be electronically tagged on release to ensure they comply with the terms of their licence and there would be other "innovations" to improve their management in the community. "I put my hand up - that was lacking initially," he said. Asked whether the government would consider new legislation to re-sentence IPP prisoners or take other legal steps to speed up the process of their release, Mr Gyimah said "all options are under review". However, he gave a clear indication that it was unlikely to happen, adding: "The system is working." The committee also heard that the Parole Board expects to pay prisoners a million pounds in compensation this financial year for delays in hearings and decisions. In 2016-17, 578 prisoners received a total of £938,000, which was almost double the figure the previous year.